You are currently browsing the The Pet Product Guru blog archives for the day Sunday, August 12th, 2018. What Does Health Insurance For Pets Cover? We’ve discussed health insurance for pets in the past. The primary purpose of health insurance is to cover the unexpected like accidents and illnesses. Pet owners can also opt to extend their coverage to include annual exams, vaccinations and neutering. These are procedures that are meant to prevent rather than cure problems down the road. Keep in mind that preventable diseases are only covered if you follow your vet’s advice. For example, if you follow your vets advice and vaccinate your dog against Lyme disease and he develops this disease anyway, it would be covered under the pets health insurance policy. In such cases, prevention can save you lots of money. It can be a bit expensive but may be really worth it in some cases. The greatest variety of oldies are on Edgewater Gold Radio. Oldies from the 50s through the 80s and great pop vocals! Turn on your memories and download the free Edgewater Gold Radio app now or listen from our website: Edgewatergoldradio.com. 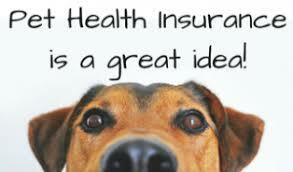 add comment Comments Off on What Does Health Insurance For Pets Cover?